A classic pin-up look of the 1950s, curled bangs were coquettish and a bit more burlesque. 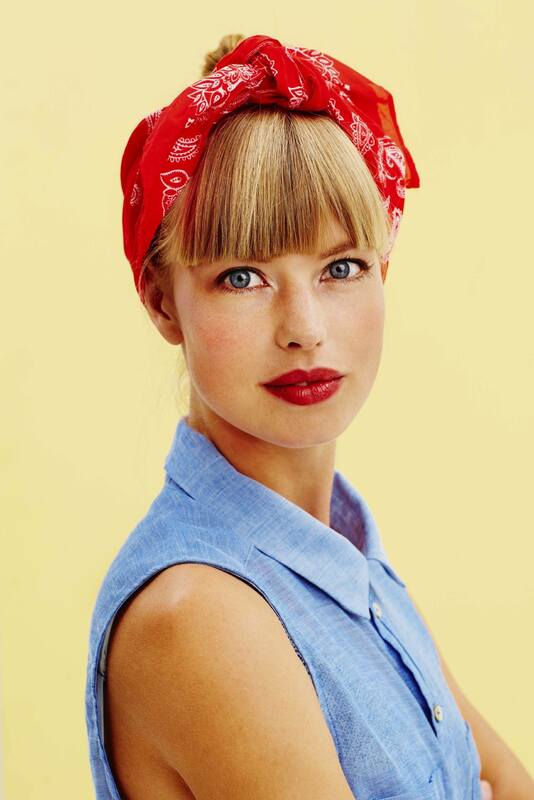 Tie a bandana while keeping your bangs full and loose for a less retro effect. You can also just use the bandana as an actual headband for a simpler take. Adorning hair with floral motifs were also all the rage. Let that perfect roll peek out from under. A silk bandana also classes it up. Sip that milkshake or coffee in style. High-contrast red came into the fore during the 1940s and 1050s. An exaggerated shape gives your fringe a more unique feel. Keep it shiny for best results! A little bit country, a little bit rock ‘n roll! 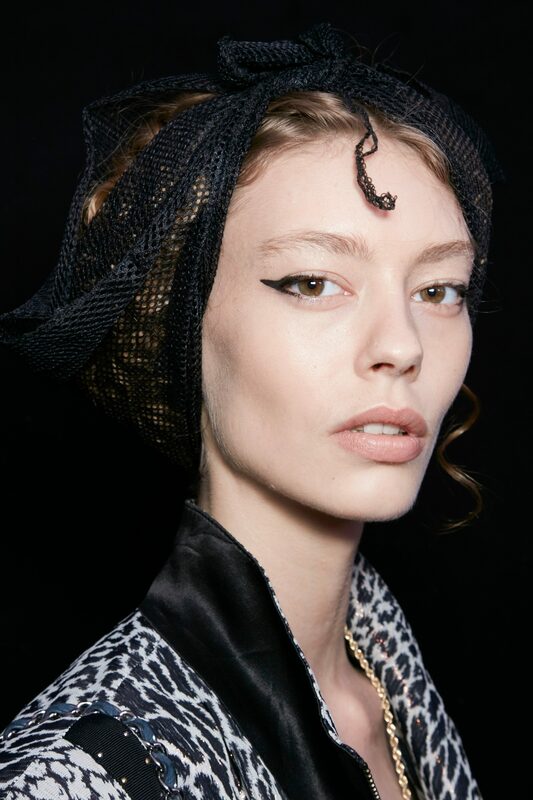 Vintage hairstyles are always inspiring, but while ’60s mod looks and ’90s grungy styles have been getting a lot of attention, know that looks from the 1940s and 1950s can be equally chic and glamorous. More vampy and mysterious than other beauty looks, these hairstyles tend to be more glamorous and even somewhat edgy. 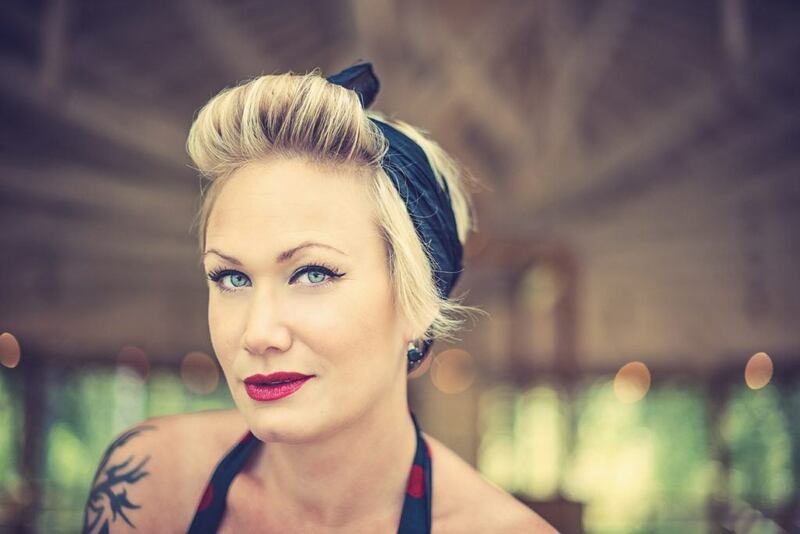 Rockabilly hairstyles, in particular, have been gaining popularity due to their charming retro vibe that’s a mix between rock ‘n roll and country, taking cues from the pin-up and boudoir aesthetic prevalent during the World War II era. 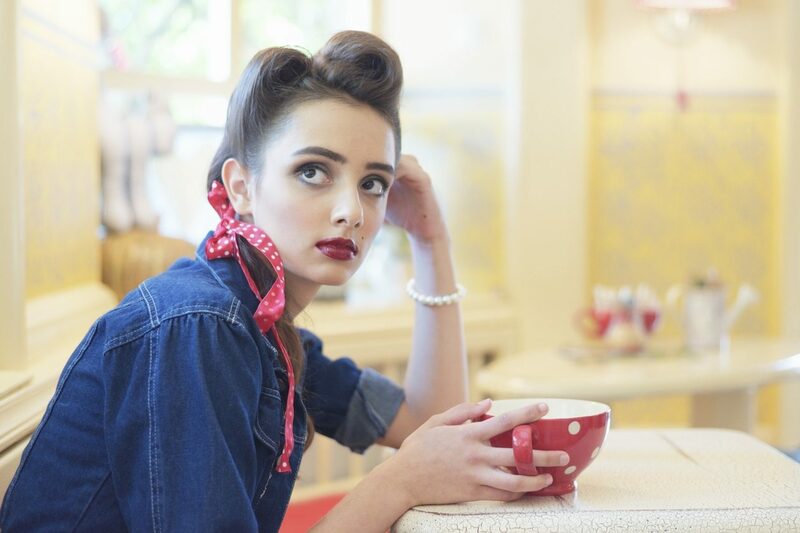 Looks such as Old Hollywood waves, quirky victory rolls and gorgeous pin curls are met with micro bangs, vintage snoods and hair scarves, and all make up the hallmark of rockabilly style. 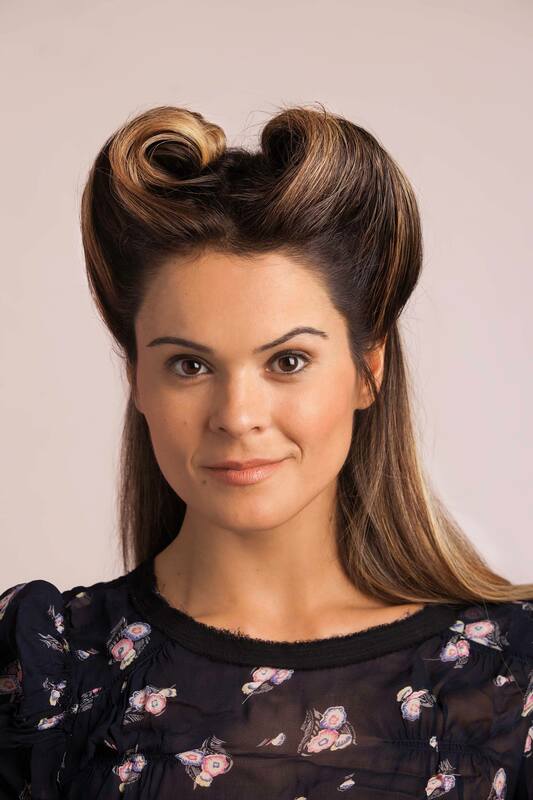 This vintage pin-up-inspired look features a fringe area that’s been curled under to go with a pair of Victory rolls on each temple. This look also gives the effect of a micro bang, which was another microtrend during the 1950s. To recreate this look, you’ll need a good curling iron. Try using one with a one-inch-sized barrel to carefully mold those S-shaped waves. 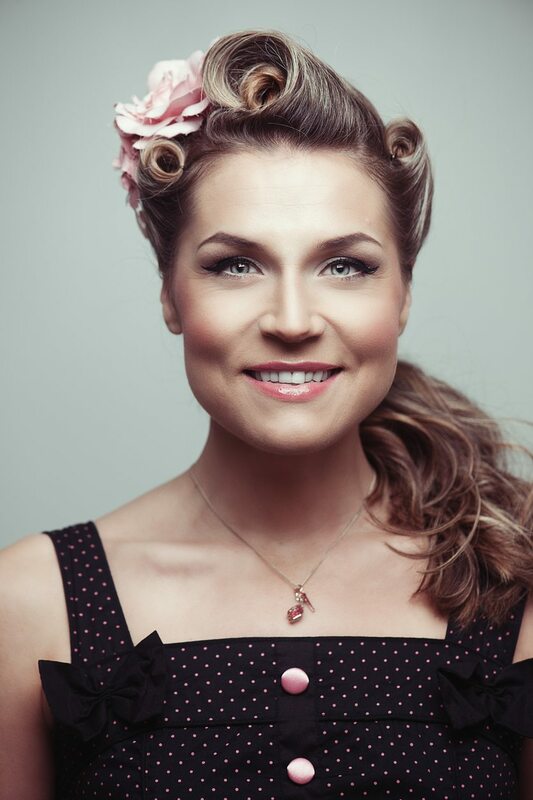 The foundation of a lot of rockabilly hairstyles lies in the victory roll, which was a glamorous hairstyle big in post-WWII America; it’s literally named after the celebratory corkscrews fighter pilots made after shooting down an enemy plane. The look features the top half of your hair done in two huge curls rolled outwards from the part line, with the bottom half curled as well. 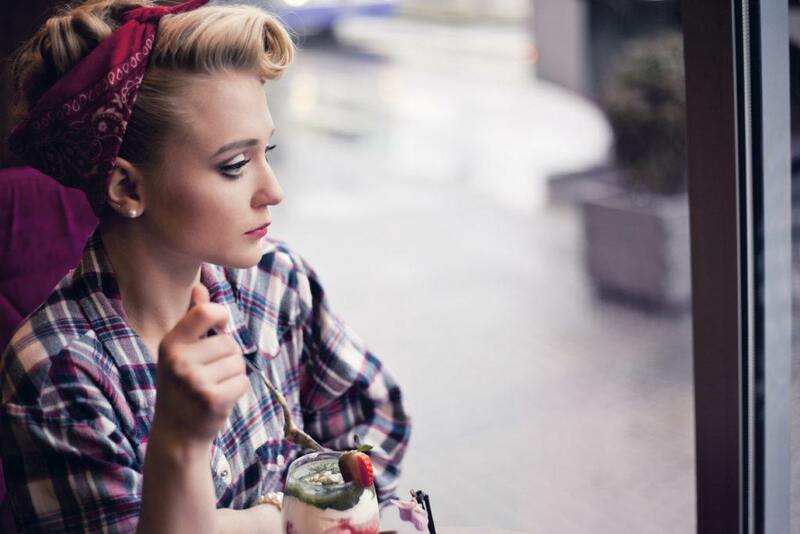 But despite this style’s distinctively vintage appearance, victory rolls can still be appropriated in modern times; it gives any outfit or beauty look some quirky edge. To achieve this style without any hiccups, be sure to follow this foolproof tutorial from start to finish. Not that they’d ever let you see them with their hair not fully “done,” but if you ever took a peek behind a 1940s/1950s woman’s glam process, this is probably what you would see. A head full of pin curls was the perming method of the time and was typically used to create the curly styles of the era we’re all familiar with today. Since hair styling products were rationed during the war, women had to resort to finger-coiling their hair into curls (which were usually set with sugar water, or similar homemade concoctions) and secured in place with bobby pins. They would later on “set” these curls overnight, protecting them with scarves or snoods before unfurling. Thankfully, setting products like mousse and curling gels are in strong supply these days that we can easily replicate pin curls as one of our go-to heatless looks. 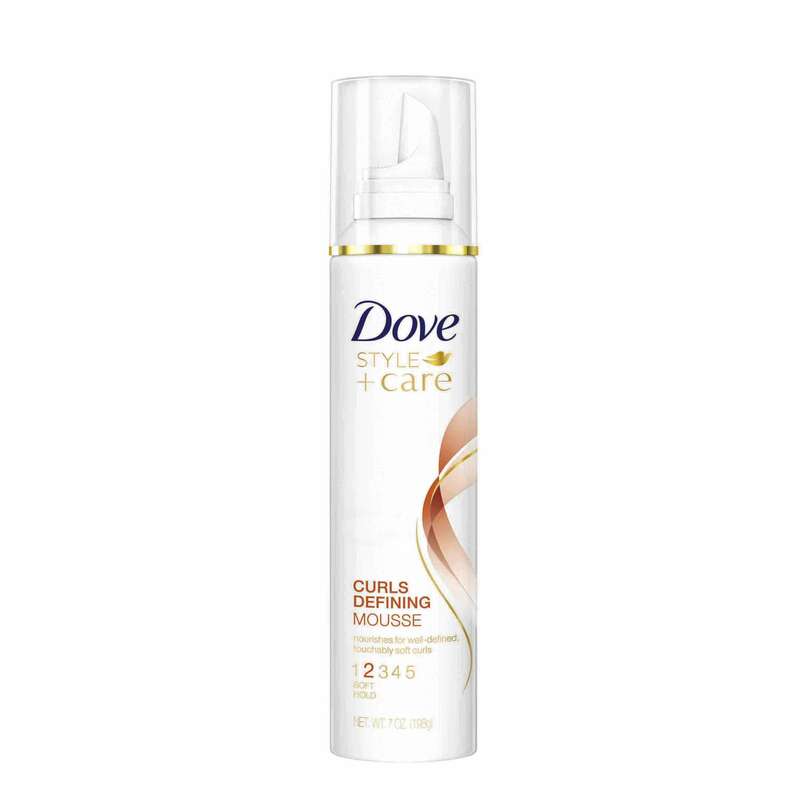 We love Dove Style+Care Curls Defining Mousse to help give your curls some added bounce and life. Once it’s time to actually start rolling your curls into place, follow this step-by-step tutorial. 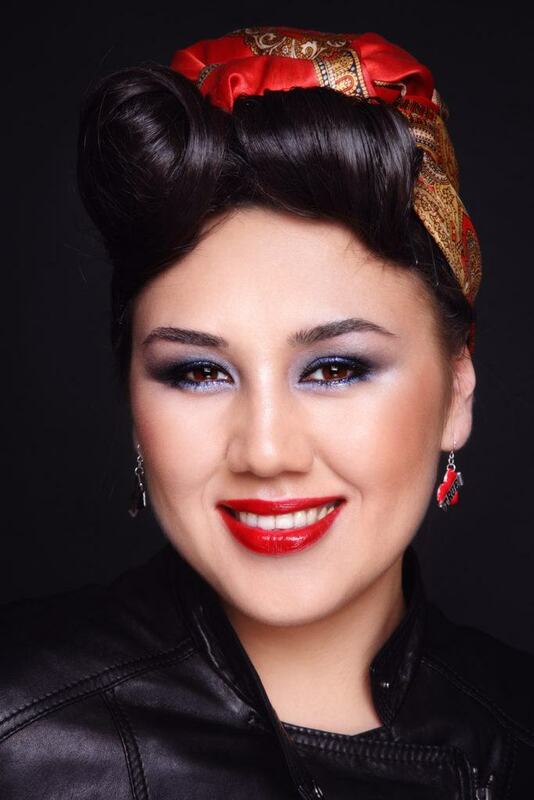 Rockabilly hairstyles also included using accessories, like headscarves, bandanas, and snoods, to help give their curls and rolls protected during their day jobs at the factory, à la Rosie the Riveter. To get that factory-issue ‘do that was the norm during wartime, use a bandana to spice up your ponytails, buns, braids, or updos in seconds. Take your classic victory roll hairline at the top, affix it with some floral pins and gather the rest of your hair into a low ponytail for a truly feminine, 1950s aesthetic. A bandana that was tied right after the bump in a rolled fringe became a hallmark rockabilly look, in and of itself. Make sure your strands stay flyaway- and budge-free with some hairspray, like TRESemmé TRES Two Extra Hold Hairspray. For a more modern, symmetrical take on the scarf trend, use makeup colors that bring out the patterns in your accessories. A beribboned low ponytail slung over one shoulder is a cute diner-era way to wear your hair. Match with a poodle skirt for the full effect! The 1950s also saw the advent of spray-on hair color, which helped women experiment with bolder, brighter hues. Paired with barrel curls and a rolled updo, red hair gives an even more striking aesthetic. A lot of rockabilly hairstyles take inspiration from famous pin-up models of the era, who famously sport short micro fringes. The V-cut bang was a quirky fringe style that gave the face a sweetheart shape. One of the ultimate rockabilly hairstyles. A full, shiny, super short set of bangs highlights a bold color and offsets a pristine, swingy poodle ponytail. a Glam 1930s Look with Mini Marley.